Education technology can make learning easier and more fun, and learning how to use it properly will give your child many advantages in the future. At St. Stephens, we know how critical it is to use technology for instruction in the classroom, which is why we devote significant focus and resources to supporting technology throughout the district. Our goal is to stay on the cutting edge of technology and help faculty and students enhance the educational experience through multimedia experiences. The widespread availability and use of cell phones, computers, and the Internet has created additional avenues of harassment, intimidation, and bullying behaviors for both youth and adults. 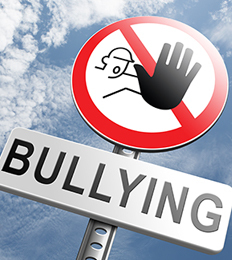 Cyberbullying, harassment, and rumors are just as damaging as the face-to-face forms of bullying, and our faculty and staff will not tolerate this behavior at school or at school functions. Please view our student handbook for more information on our policy concerning responsible Internet use and for resources to help prevent and stop cyberbullying. We expect all staff members and students to use the Internet only for ethical, lawful, and educational purposes pursuant to our Acceptable Use policy. We require all staff members to sign an Acceptable Use contract in acknowledgement of this policy.